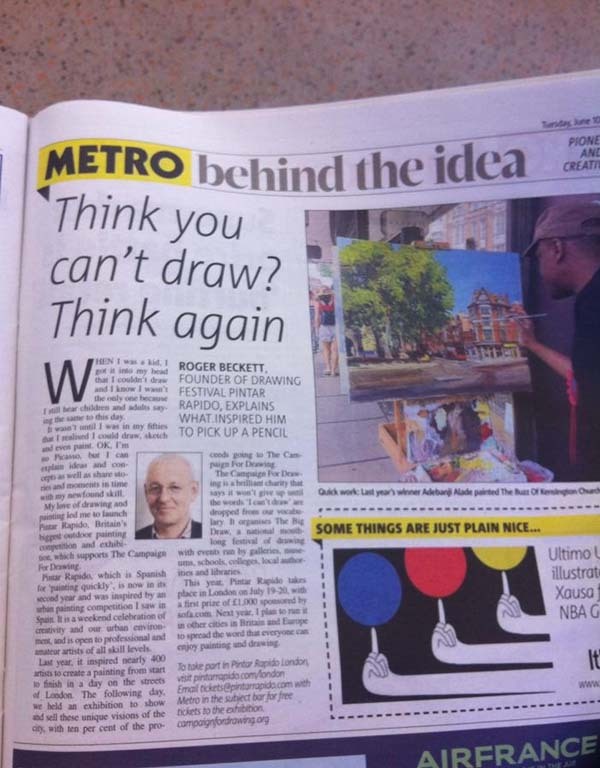 Recent press and media coverage featuring The Big Draw. [Excerpt] Read full coverage here. Manchester School of Art graduate Louisa Boyd has been shortlisted for the John Ruskin Prize 2017. Louisa is one of 26 artists to be shortlisted out of over 1000 entries that responded to the theme of ‘Artist as Polymath’. 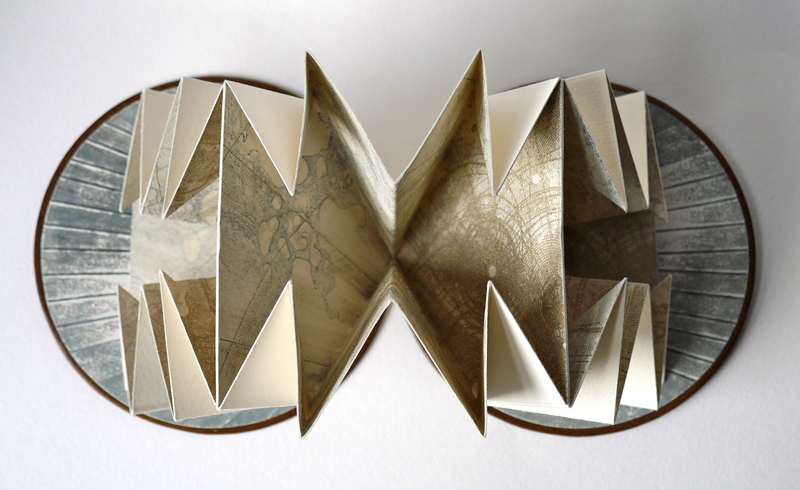 ‘It is a real privilege to have been shortlisted for this year’s John Ruskin Prize,’ commented Louisa. ‘The 2017 exhibition has a theme of the "Artist as Polymath" and the jury have selected a shortlist of artists and makers whose works cross boundaries, take a multidisciplinary approach and bring together varying techniques and materials. 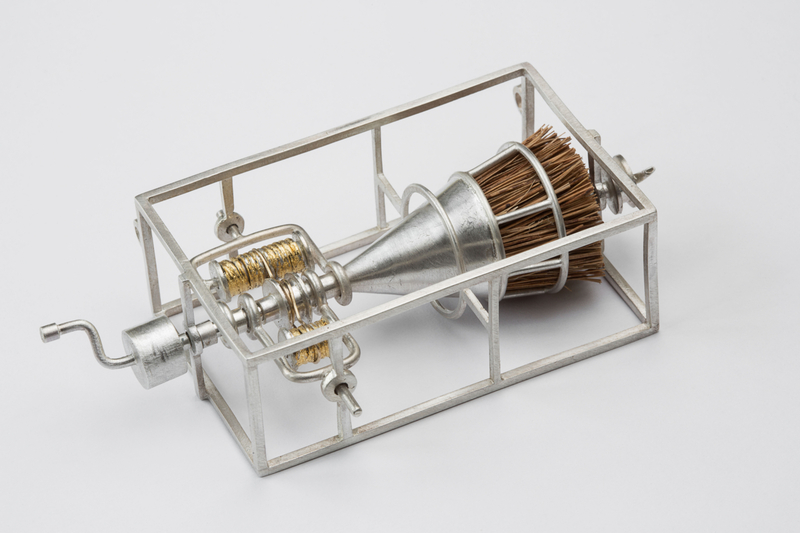 The Big Draw today announced the shortlist of The John Ruskin Prize 2017, which this year celebrates the ‘Artist as Polymath’ and attracted a record number of submissions from fine artists, makers and craftspeople from across the UK. The SGFA would like to extend our congratulations to Sumi Perera for being shortlisted for this prestigious prize. 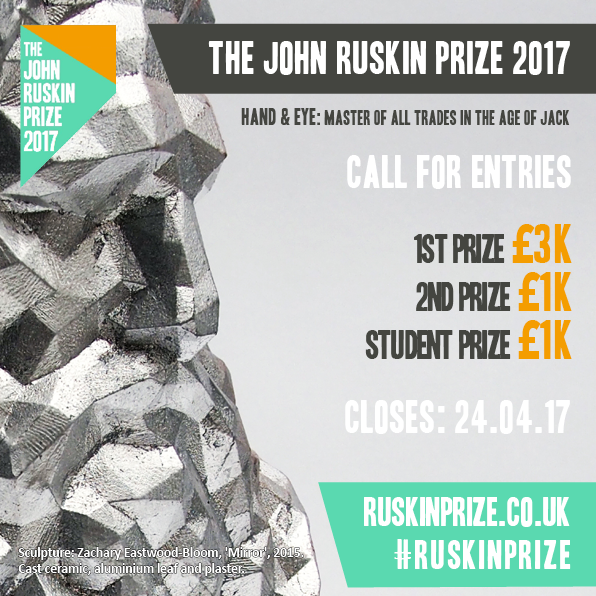 26 artists and makers have been shortlisted for The John Ruskin Prize 2017. Chosen from over 1,000 entries, this year’s prize celebrates the concept of ‘artist as polymath’. 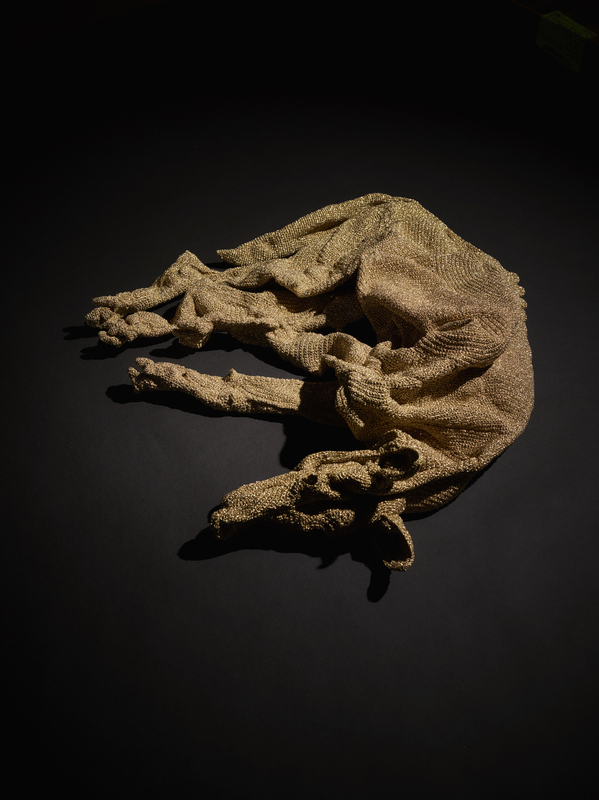 Congratulations to Shauna Richardson who has been shortlisted for the prestigious John Ruskin prize 2017 with her new crochetdermy piece called “The Wolf and the Lamb”. See more of Shauna’s work at Houghton Hall this summer in the Norfolk-by-Design exhibition being held in the Stables until September 30. The Big Draw has announced the 26-strong shortlist for this year’s John Ruskin Prize. 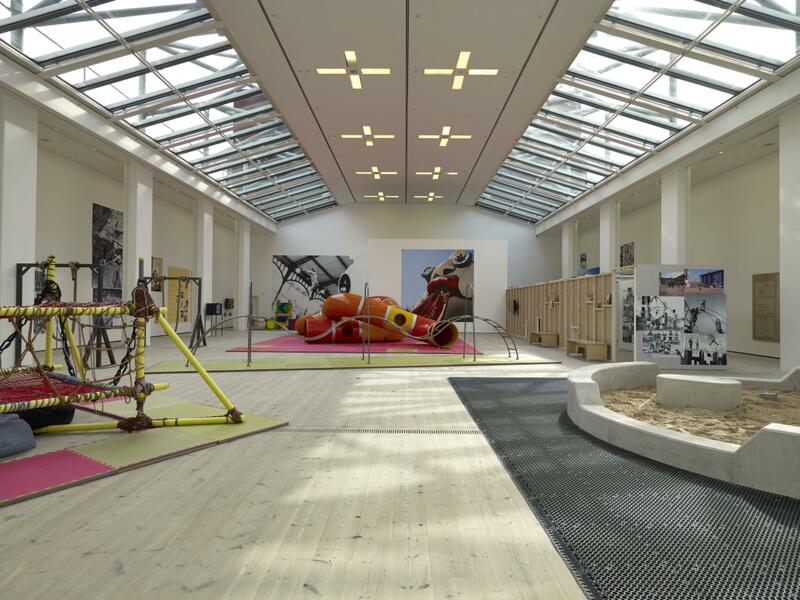 The award’s fourth edition takes the theme of ‘artist as polymath’. 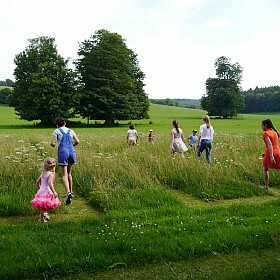 The winner, to be announced on 20 June, will receive £3,000, with £1,000 going to two runners-up. For details of the shortlisted artists, see here. 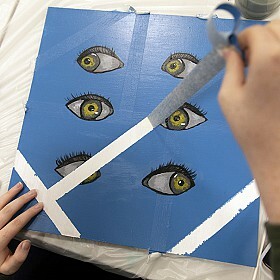 Those shortlisted for this UK-based prize will feature in a high profile exhibition at Sheffield’s Millennium Gallery. (Excerpt) Read full coverage here. Hear the full 10 minute interview here (00.42.00). 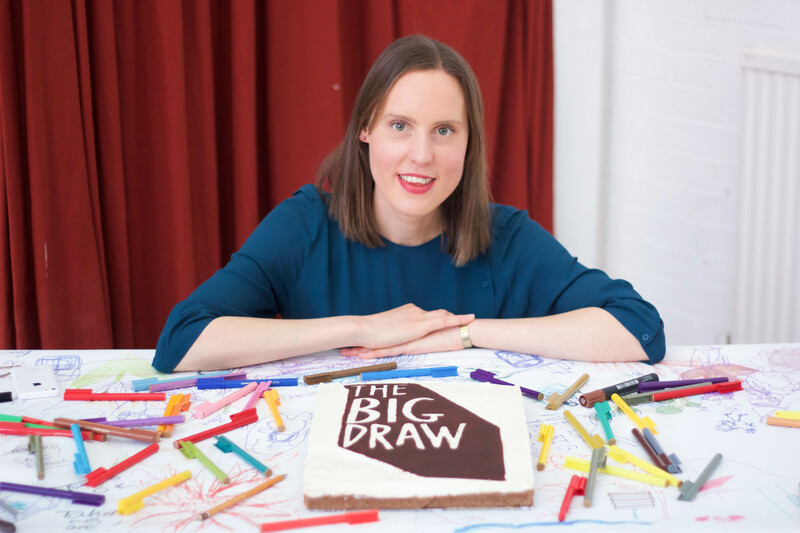 Designer baker and former Great British Bake Off winner, Frances Quinn, becomes one of the official ambassadors of Britain’s pioneering education charity, The Big Draw. The Big Draw is a national arts education charity that promotes visual literacy and the universal language of drawing – in its broadest sense – as a tool for learning, expression and invention. Director Kate Mason explains, as she introduces their Big Draw Festival taking place this month. EVER fancied yourself as a bit of a Picasso? Saw glimpses of Da Vinci, perhaps, in that impromptu life drawing class? Or maybe that habit of absent doodling during tedious office meetings is the closest you get to indulging your, er, creative side. 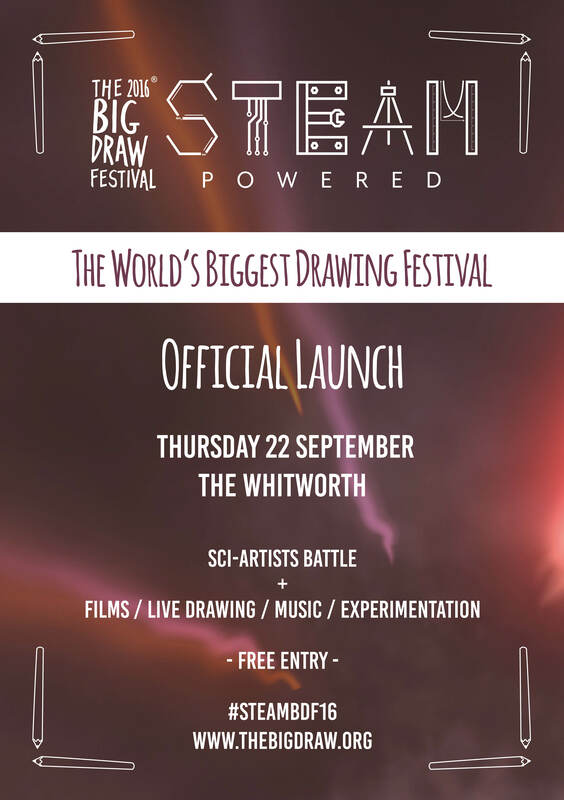 On Thursday 22 September 2016, The Big Draw will launch the world’s biggest drawing festival, The Big Draw Festival, at The Whitworth in Manchester. As thousands of children collected their GCSE results this week, arts education charity The Big Draw has announced an event for Britain’s educators that aims to encourage and promote art on the curriculum. National arts education charity, The Big Draw, has announced the 2016 theme for the world’s biggest drawing festival, which takes place annually from 1-31 October, and has a reach that spans national institutions and individual initiatives on every continent. Artists from London are teaming up with The Big Draw, a charity that teaches the benefits of drawing to everyone. It's Our World Auction features pieces by David Nash, David Hockney and rising young comic artist Zoom Rockman among others. 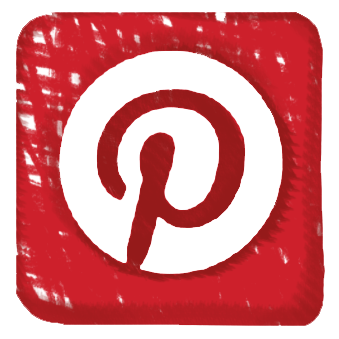 Pieces are available in both an online and live auction. The winners of The John Ruskin Prize 2015 have been announced at a public awards ceremony hosted by The Big Draw at The New Art Gallery Walsall. The award totals £8,000, with this year’s winner Laura Oldfield Ford receiving £5,000, the runner-up Jessie Brennan £2,000, and Robin Sukatorn receiving the new £1,000 student prize. There has been much speculation recently that a child born today may witness the extinction of humans—unless we drastically reduce carbon emissions. 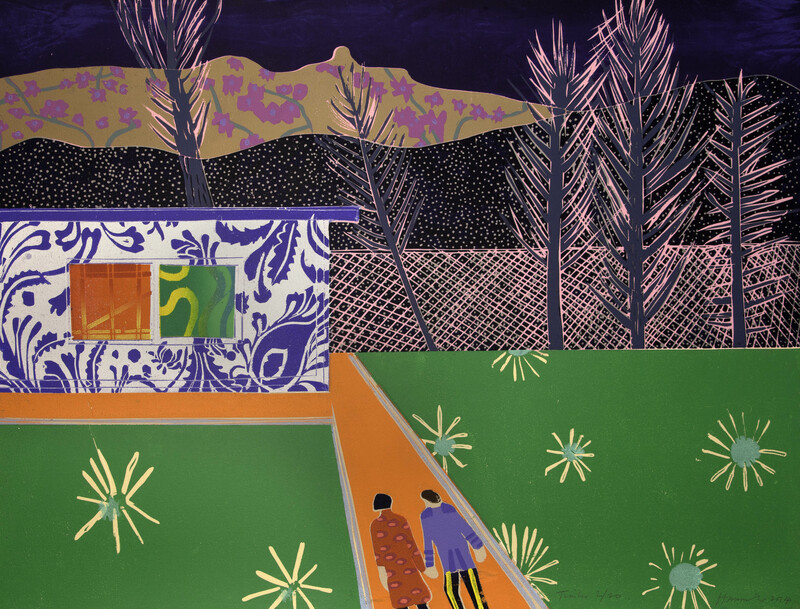 It is fitting, then, that leading artists including David Hockney, Quentin Blake, Yinka Shonibare and Maggi Hambling have donated works to an auction next month that is the culmination of an environmental arts project involving more than 30,000 children, called It’s Our World. This year The Big Draw asked artists all over the country to get creative with their logo and they were blown away by the amount of fantastic entries they recieved. With so many wonderful entries to choose from, it was a tough choice, but it was love at first sight when they saw the entry from Simona De Leo, featuring warm autumnal colours and a menagerie of English wildlife. We’d like to introduce you to Simona and find out what inspired her design. 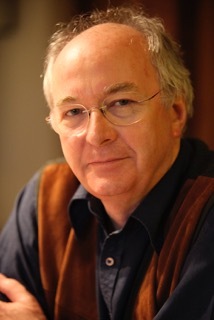 Celebrated author Philip Pullman answered your questions about writing, drawing and creativity in a live Twitter Q&A. 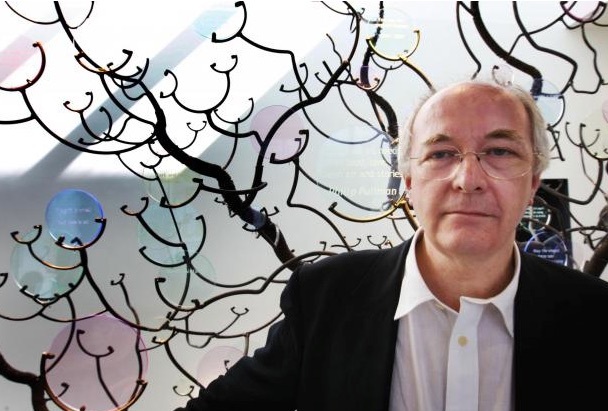 Perhaps best known for his award-winning trilogy His Dark Materials, he is also a defender of the arts and arts education and has backed campaigns about the closure of libraries, the gender labelling of books and the fair payment of authors of ebooks. He was also a guest of honour at the launch of The Big Draw, the world’s biggest drawing festival. Watch a child draw. See how she scrawls with abandon, jabs the felt tip at the paper, colours an eye so deeply the pen drives a hole through the paper. Look as she concentrates on the action of the subject, strips out unnecessary detail, toys with scale. This is pure drawing, instinctive, expressive and truthful. Last month, Riddell helped launch The Big Draw, a month-long worldwide festival of creativity that encourages all ages to pick up a pen, pencil, paint, crayon, felt-tip or even a tablet. He sketched along live as the launch progressed, undaunted by the prospect of being followed by an audience in real-time. 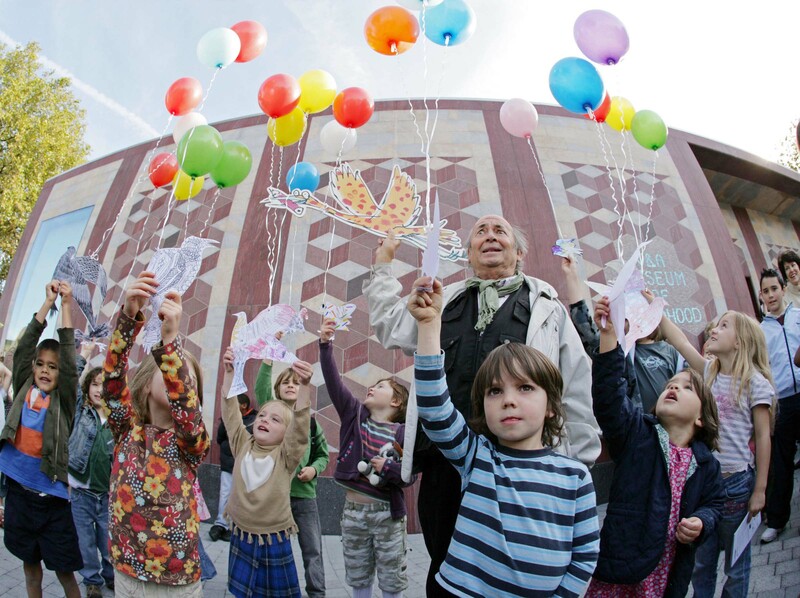 October has arrived and that means only one thing...the world’s largest drawing festival! 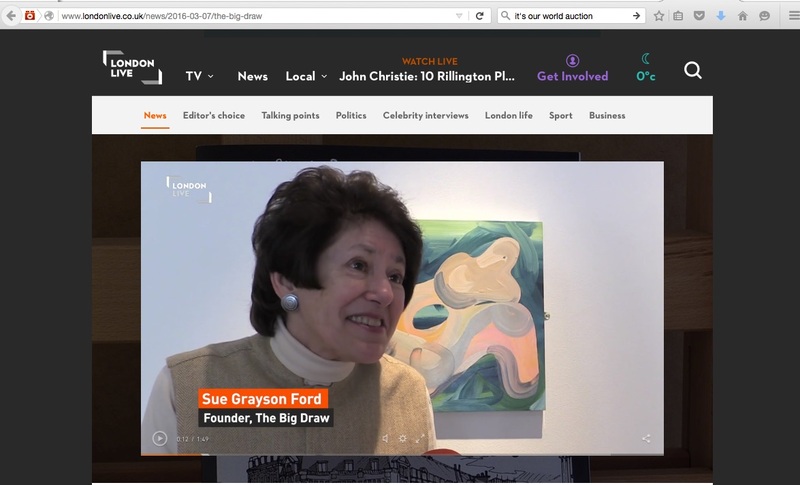 Artfinder’s Liz Hipkins interviewed The Big Draw’s President, Sue Grayson Ford, to find out more about this creative festival. 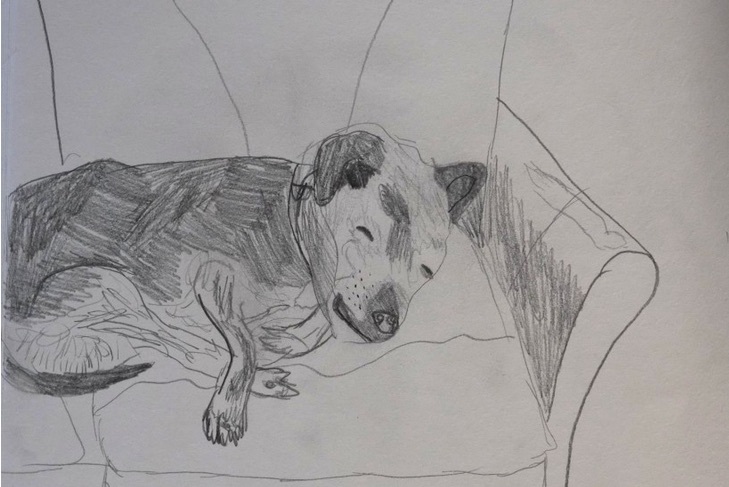 Taking part in this year’s Big Draw festival reminded the author how drawing offers tremendous insight and pleasure. Today marks the start of The Big Draw's month of creativity, running 1-31 October, so we've invited Jan to tell us all about it. You'll see The Big Draw in the Elbi app now and again. 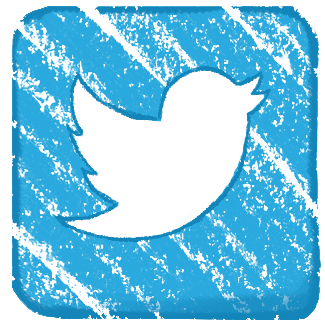 In fact, today you can take part in their logo challenge with a digital drawing. Welcome to the future! (Excerpt) Read ful coverage here. How to draw… a GRRRRR! Rob Biddulph has a beary loud drawing lesson for you today, are you ready to shout while you get your pens out? 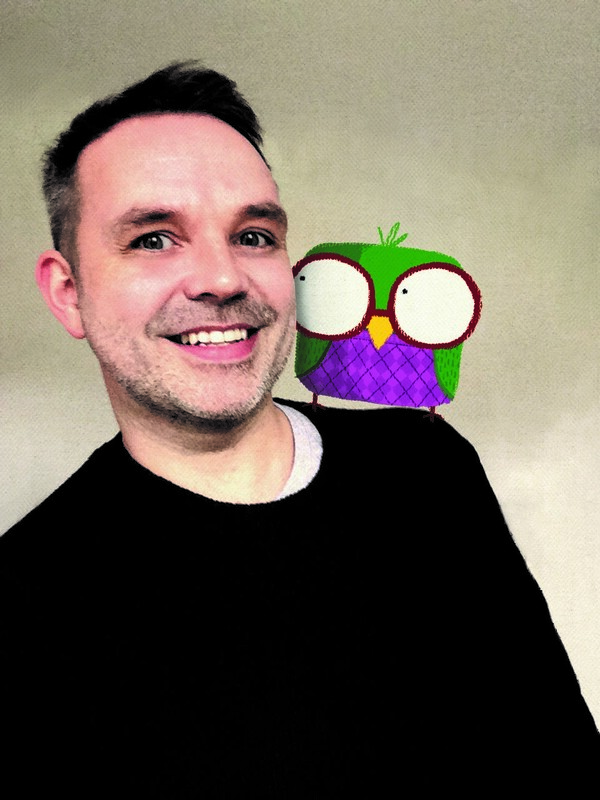 You can also meet Rob at the Drawing the World Big Draw event on Sunday 11 October 2015. The world’s biggest drawing festival The Big Draw was launched this weekend at The Bodleian Library in Oxford. 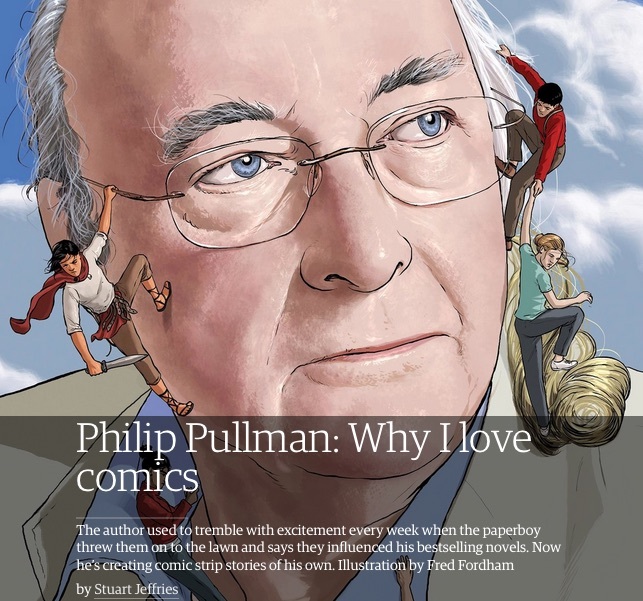 Chris Riddell was there with Philip Pullman to unleash it on the world – and here shares the sketches he made on the day! 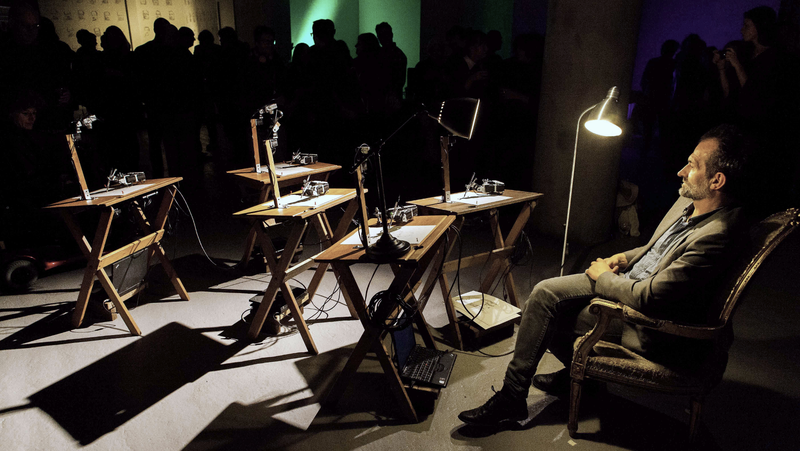 A SKETCHING robot, 3D map and live illustration were all on display when the world’s biggest drawing festival was launched in Oxford. 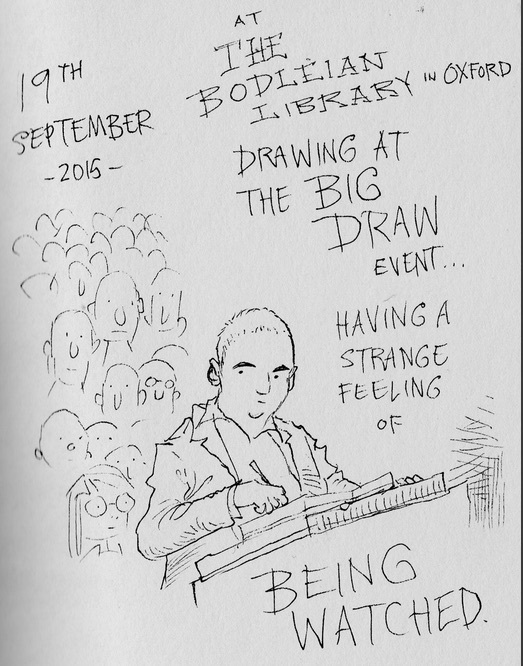 Children’s Laureate, writer and illustrator Chris Riddell and author Philip Pullman were the guests of honour to open The Big Draw at the Bodleian’s Weston Library on Saturday. 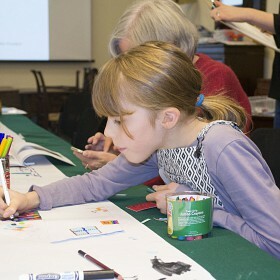 Artists and illustrators young and old joined together in Oxford today to launch the world's biggest drawing festival. 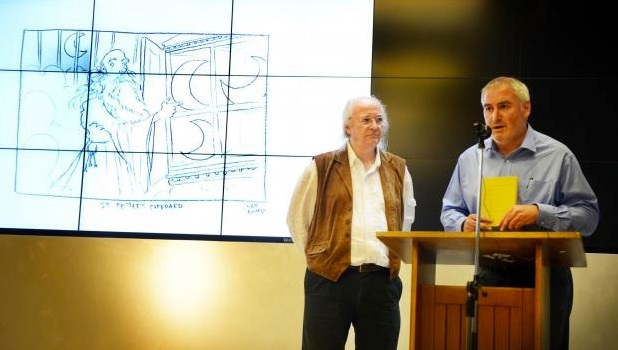 Children's Laureate, writer and illustrator Chris Riddell and author Philip Pullman were guests of honour to open The Big Draw at the Bodleian's Weston Library in Broad Street. 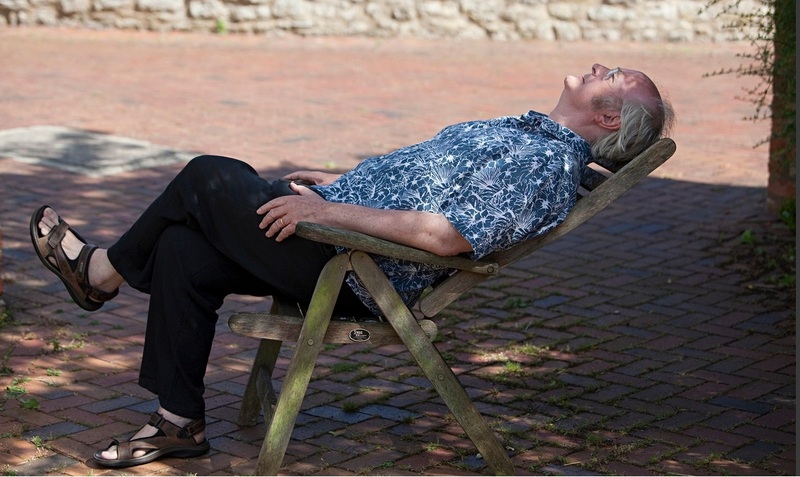 PENS and pencils at the ready as author Philip Pullman and Children’s Laureate Chris Riddell launch a worldwide scheme to get children drawing in Oxford this weekend. The Big Draw festival, now in its 15th year, features 10 of the city’s leading institutions offering activities, workshops and tours to encourage creativity. 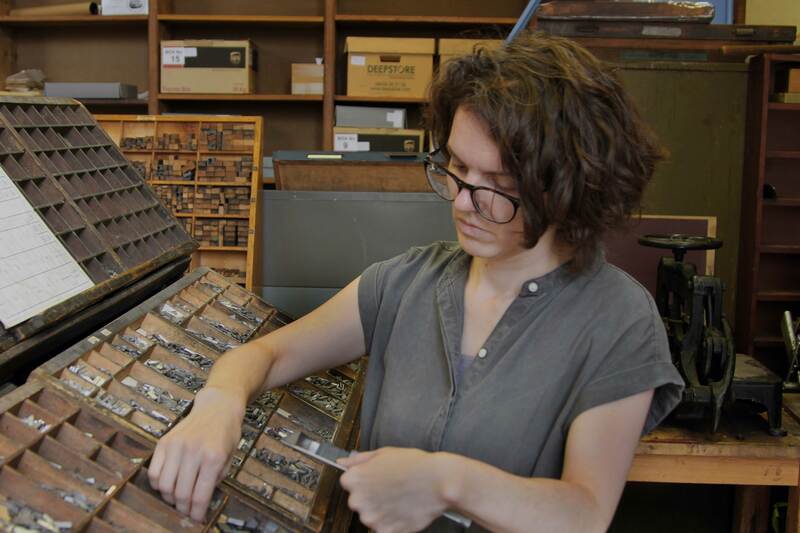 Ahead of the launch of The Big Draw on 19 September artist and writer Tamarin Norwood has stepped into the Bodleian’s print room to swap tweets from her mobile phone for messages printed using the hand press. 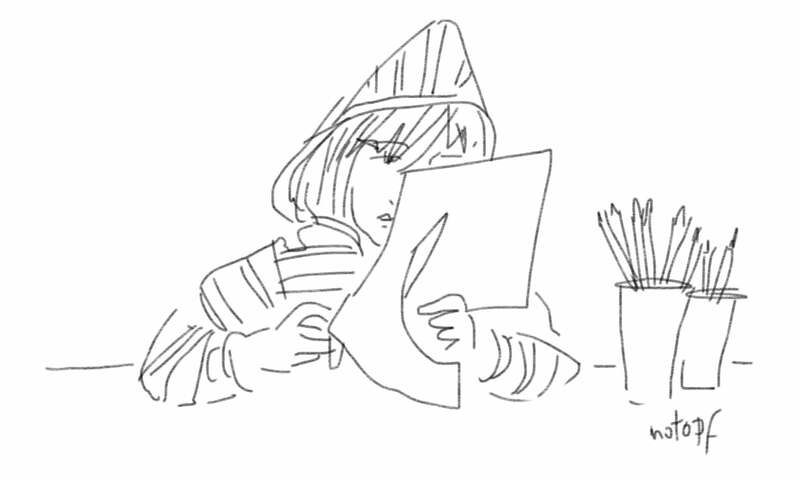 Tamarin responds to the question 'What is Drawing Anyway?' through a series of printed tweets. Sue Grayson-Ford, President of The Big Draw and author Philip Pullman discuss The Big Draw 2015, qith BBC Arts Editor, Will Gompertz. 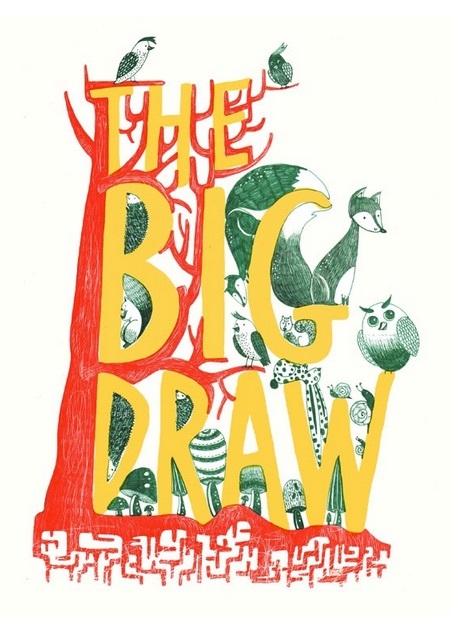 The Big Draw, the world’s biggest drawing festival, will be launched on 19 September with a special day of events at the Weston Library and across nine other Oxford venues. Unless you’re a crayon toting pre-schooler, drawing a human face can be a daunting prospect. But one artist never seems to struggle for artistic inspiration. Known as Paul, this prolific portrait artist has had his work exhibited the world over and all before his sixth birthday. He has one arm and 19 brothers, also called Paul. Have you guessed what it is yet? That's right Paul's a robot and thanks to the organisers of The Big Draw you can have your portrait drawn by the dextrous droid himself at the forthcoming launch of the world's biggest drawing festival. Get Drawing! That's the message that will be coming loud and clear from Oxford in two weeks’ time when The Big Draw launches with free public events at venues across the city on 19th September. The world’s biggest drawing festival invites everyone, young and old alike, to participate in activities for all ages on the day. (Excerpt) Read full coverage here see full details of The Big Draw launch here. 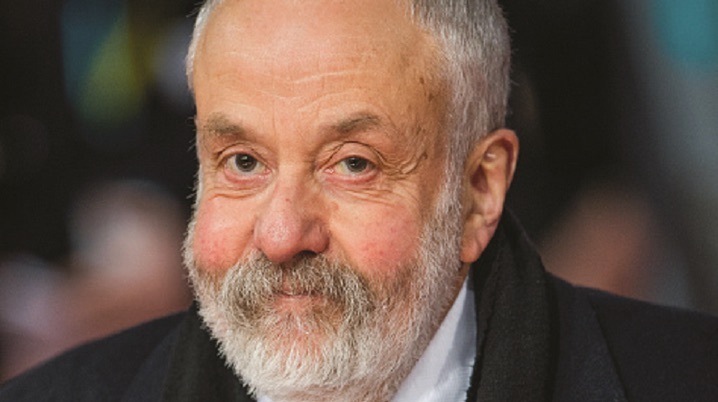 Art should be compulsory for students up to the age of 16 in order to restore its place as a “core” subject and prevent it from being regarded as an “indulgence”, according to award-winning film director Mike Leigh.... The Oscar-nominated director made the comments last week at an awards ceremony for schools, community groups and museums that had taken part in the Big Draw international festival of drawing. (Excerpt) Read full article here. 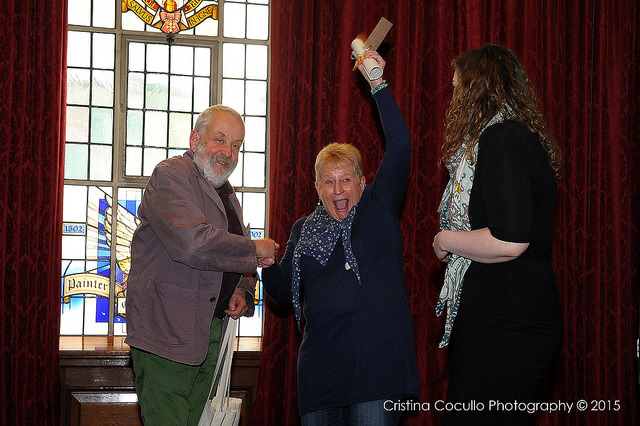 The 15th annual Big Draw award winners have been revealed by the film director Mike Leigh at a special event at Painter’s Hall, London today. The BBC presenter explains his love of Matisse - and what they have in common. 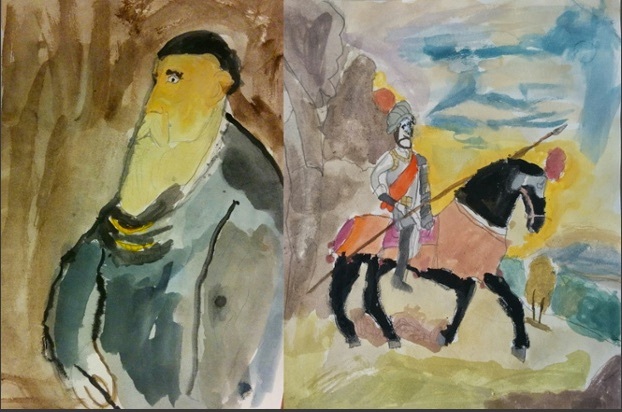 In our 2014 Big Draw competition we asked for your drawings, paintings, sketches and collages inspired by great artists. (Excerpt) Read full article and view 10 winning entries here. Crawley is hosting a series of art events called the 'The Big Draw' for all ages. A Crawley Borough Council spokesman said: “Drawing helps to connect generations, cultures and communities whilst helping us to appreciate the world around us. Andrew Marr has spent the past 20 years successfully climbing the media ladder; starting out as a trainee reporter at The Scotsman, before becoming political correspondent and subsequently the editor of The Independent. Marr’s political commentary could be found in The Daily Express and The Observer, while his broadcast career has reached its zenith with The Andrew Marr Show. As one of the most recognisable voices covering UK politics, Marr has become a household name, but few people are aware of his secondary love: art. 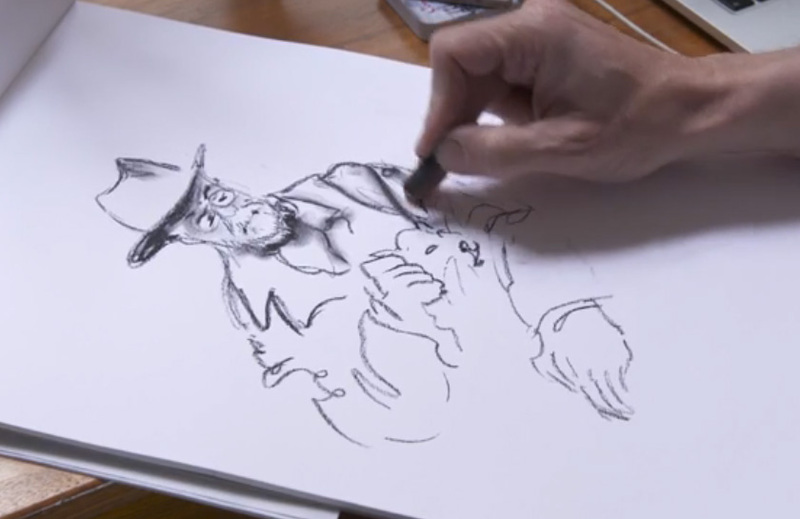 When the TV journalist suffered a debilitating stroke to the left side of his brain in January 2013, he returned to drawing to aid his recovery. 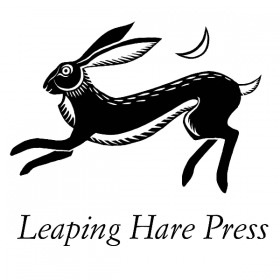 Versions of this article also available via the Hertfordshire Mercury, Western Morning News, Gloucester Citizen, Herald Scotland, The Weekly News, Sussex County Times, Herts and Essex News, Yorkshire Post and The Cheshire Independent. Young artists flocked to the Windsor and Royal Borough Museum, in High Street, Windsor, on Tuesday last week, where they took on the Big Draw: It’s Our World, Floods in Windsor event. 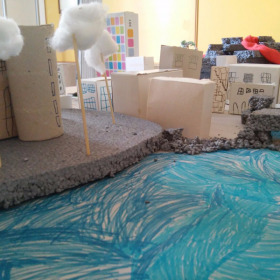 The children, in two sessions, were challenged to draw what they think Windsor would be like if it were flooded, allowing their imaginations to run wild. The nationwide The Big Draw scheme is run in October with the aim of encouraging people of all ages and abilities to draw. VOLUNTEERS created a colourful forest in Sherborne Museum as part of a national art scheme. The Big Draw, working together with the Family Arts Campaign, hopes to encourage a love of illustration among all ages. More than 280,000 people joined in with more than 1,000 Big Draw events held across 21 countries, including the UK. Pupils at West Town Primary Academy have celebrated the world’s biggest drawing event with a creative activities day. Youngsters spent The Big Draw day celebrating their theme, ‘It’s Our World’, with a special focus on the trees in our environment. More about the Its Our World Peterborough Living Landscapes Trail at Railworld and The Big Draw festival runs until 2 November - UK events, see @The_Big_Draw on Twitter. A giant walk-in theatre book filled with stories and drawings from around the world was created by families and children this week. The Big Draw, held throughout October, is the world’s biggest drawing festival, run by charity the Campaign for Drawing, and has more than 280,000 participants from 20 countries taking part. 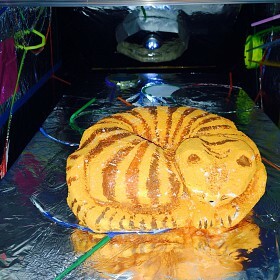 FROM crafting 3D animals to learning to draw using your feet, there will something to tempt everyone's artistic taste buds in Lichfield during half-term. Lichfield District Council is inviting budding artists to take part in this year's Big Draw by joining in free art activities. This year's theme 'It's Our World' will see children and adults making artwork that celebrates their environment and landscape. The first workshop is being held at Three Spires Shopping Centre on Saturday (October 25) and will be led by professional artists. Saranjit Birdi will demonstrate his unique skill of drawing with his feet, and will be encouraging shoppers to try to do the same. 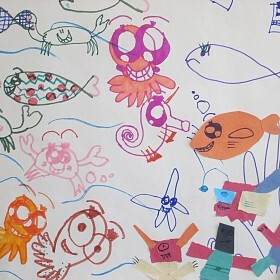 he Big Draw is the world’s biggest drawing festival and Islanders are invited to take part in this year’s event on Saturday 25th October from 10am-1pm at Quay Arts. This year’s Big Draw theme: It’s Our World, is a celebration of our environment – urban, rural and coastal landscapes. 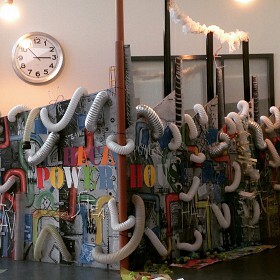 Island artist, Hannah George, will be facilitating the project in The Learning Curve Gallery. The Learning Curve Gallery will be transformed into a magnificent drawing room; Islanders are invited to draw their favourite Island scenes on a large blank outline of the Isle of Wight, which will be painted on the wall. A range of drawing materials will be available to use. YOUNGSTERS in Headington chalked up a success when they took to the streets over the weekend. 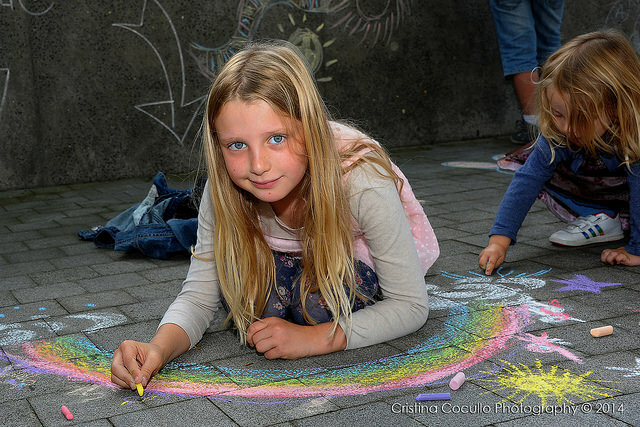 They were taking part in a special arts event that allowed them to make chalk drawings on the area’s pavements. The event had been organised by Oxford Brookes University mature student Jean Wykes, of Kennett Road, as part of the Big Draw, a global arts event taking place throughout this month, under the theme It’s Our World. FELT tip pens and crayons were at the ready as youngsters from Acorns Children's Hospice join professional artists for exhibition. Mandie Fitzgerald, Acorns' community fundraising officers for the three counties, visited Blue-Ginger Gallery, Cradley, with an array of postcards drawn by children at the hospice as part of the Big Draw. Their work will be exhibited alongside postcards designed by professional artists, school children from Storridge Toddler Group, Little Growbags in Bransford and adults from Stanley House Care. Those who love to draw, as well those who think they can’t, are invited to take part in the Big Draw at Stoke Bruerne Canal Museum on Wednesday, October 29. Artists and designers will be on hand to help at the free event between 11am and 4pm. All materials are provided – just bring your imagination. 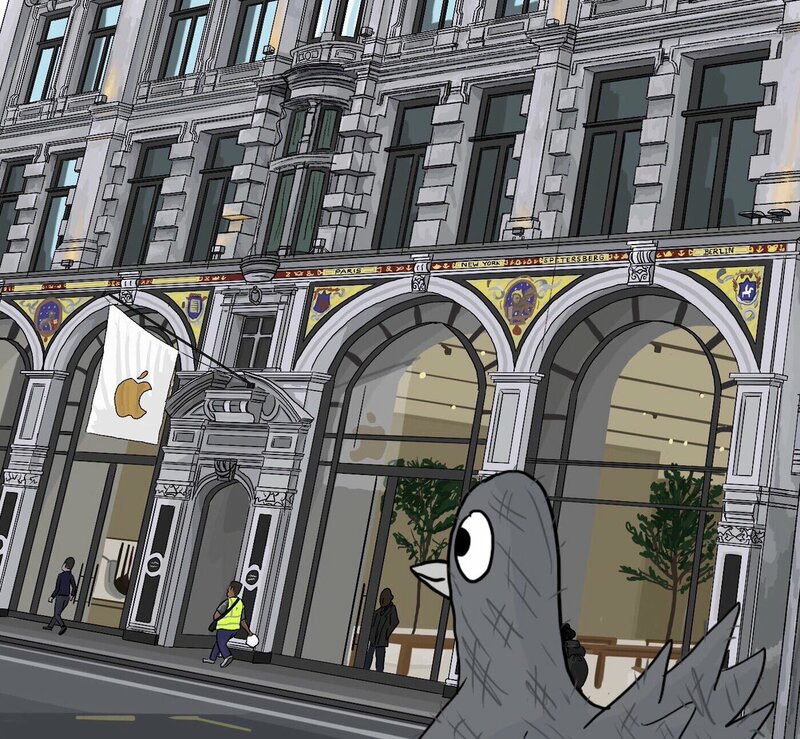 The activity day, with the theme It’s Our World, is part of the world’s biggest drawing festival – a month-long creative project designed to get people drawing in public places across the globe. 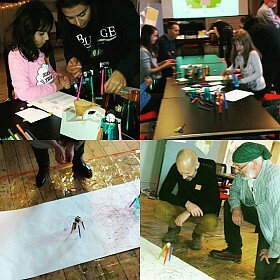 As part of an international day of drawing, the Firehouse Cultural Center recently hosted the 7th annual Big Draw. The free, hands-on community event invited folks of all ages and skill levels to dabble in a variety of artistic mediums, including still life drawing with charcoal, two types of print-making, stop motion animation, drawing with light and collaborative outdoor mural design. The pavements of Headington could become covered in drawings by schoolchildren this weekend. Oxford Brookes University mature student Jean Wykes is calling for residents to take to the streets and decorate the footways on Saturday along Headington Road and London Road. She has organised the event as part of the Big Draw, a global arts festival taking place throughout this month, under the theme ‘It’s Our World’. Ms Wykes, of Kennett Road, said: “I’ve invited all the schools in Headington to join in with the events we are running for the Big Draw, and everyone is invited to help us chalk the streets. 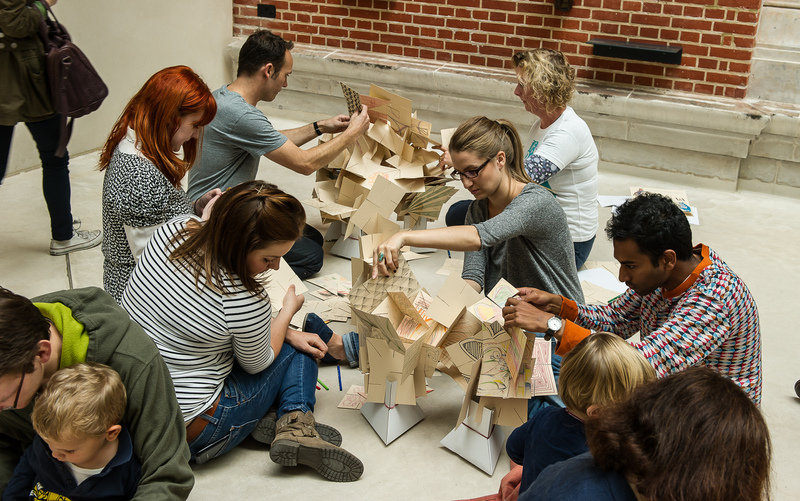 ARTISTS from the Royal Opera House join together with partners across the High House Production Park on Monday 27 October as the Park hosts the Big Draw. 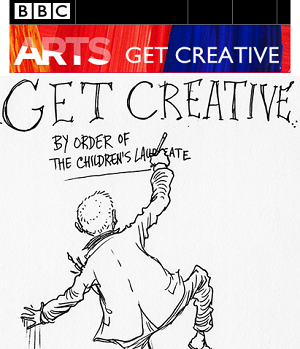 The Royal Opera House, The Backstage Centre and Kinetika will all be taking part in this free event to offer everyone a great day of drawing and fun. This year's Big Draw theme is ‘It’s Our World’ and is a celebration of the environment we live in, whether urban, rural or coastal landscapes. The High House Production Park is a beautiful place to explore and offers lots of inspiration for artists. Everyone, young or old, beginner or expert, is invited to the Park for the free Big Draw event, to draw and learn more from skilled and experienced artists. 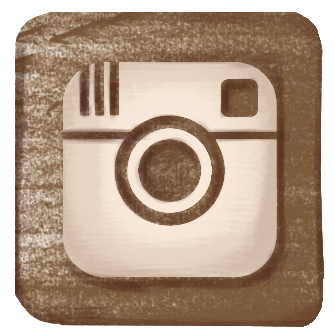 The mysterious Derry Sketcher will be giving away some of their art for free this weekend. The event, which is to raise awareness of the Big Draw, will see the Derry Sketcher place some sketches in various well known places throughout the city on Saturday. The Derry Sketcher, whose identity is a secret, will then give clues via their Twitter account but there’s even a chance you could stumble across a sketch as they will be virtually impossible to miss and each sketch will be labelled ‘free art’. An ‘Arty Party’ is set for this Saturday at the Butler’s Hill and Broomhill Children’s Centre and the Broomhill School as part of a national campaign to encourage creativity. The free event, which runs between 3pm and 6pm will provide a vast array of art and craft activities for children aged up to 11 and their parents. The party will act as a launch of the Hucknall Future Fields’ Big Draw project which will see around 30 local groups including schools, children’s centres, churches, uniformed and community groups create poppy seed bombs, in commemoration of World War One, with the help of artist Jess Kemp. 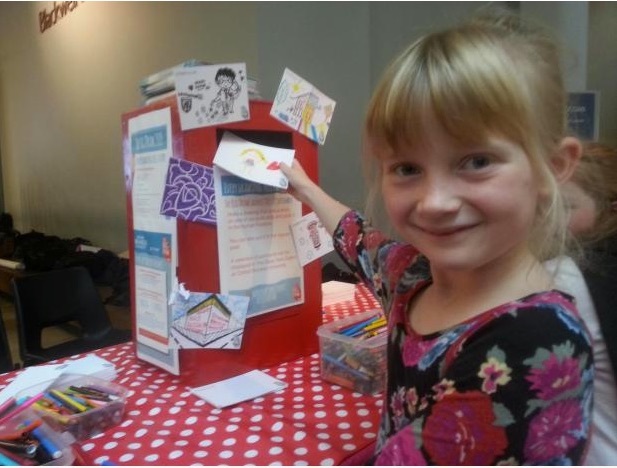 Co-ordinator Michelle Squires said: “This is the fourth year we have run the Big Draw in Hucknall and every year it gets bigger and better – every year, more children and families learn that they can be creative. Budding artists have supported this year’s Big Draw on Saturday, October 4. The Big Draw, was organized by Harry McMahon and the Firsty Group offering free drawing activities to connect people of all ages with museums, outdoor spaces, artists, designers, illustrators and each other. 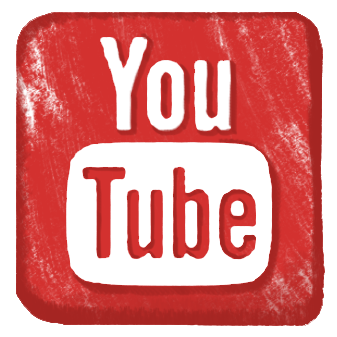 View video and full article here. Quentin Blake and Posy Simmonds both boast delightfully colourful CVs. The duo are involved in The Big Draw, The Campaign for Drawing’s month-long creative project that intends to get people drawing in public forums, with galleries and museums across the globe taking part. 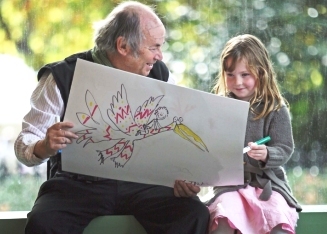 Sir Quentin Blake, the artist whose illustrations adorn Roald Dahl’s children’s books, has spent over a decade committed to The Big Draw, a worldwide project in which museums and galleries offer a space for people of all ages to try their hand at drawing. It’s October, which means that the The Big Draw, the world’s largest drawing festival, is now under way. This year’s event was launched at the V&A Museum of Childhood in London. The Guardian has is running a drawing competition in association with the festival. The Campaign for Drawing, which runs The Big Draw is also organising another Battle of the Cartoonists banner competition. 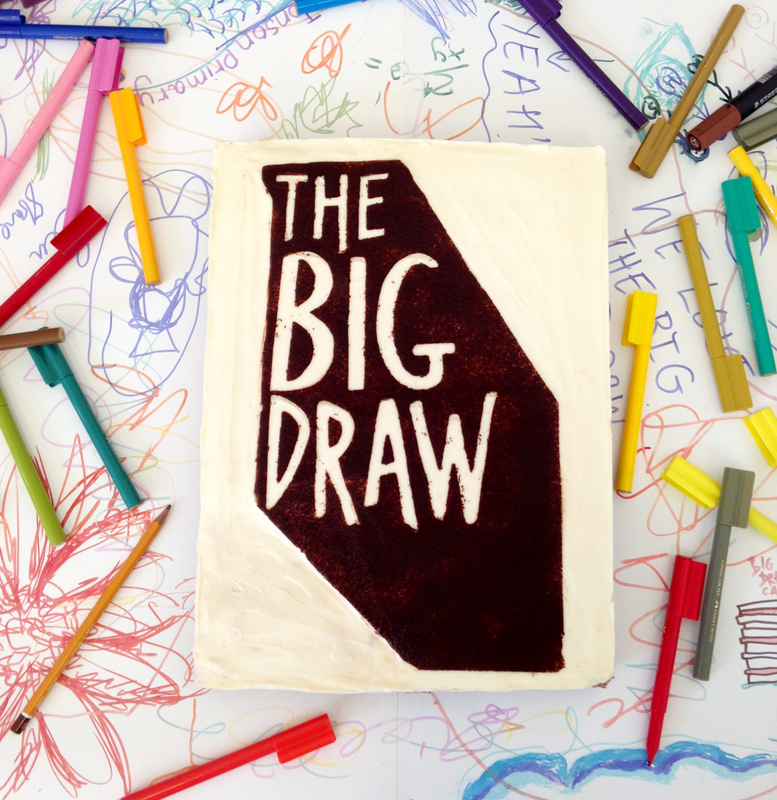 Guardian children's books has got so excited about the world's largest drawing project The Big Draw that we are launching our own Big Draw project! We've teamed up with illustrator, drawer and book creator Marion Deuchars and the founder of the The Big Draw Sue Grayson Ford to challenge you to send us your best drawings which have been inspired (however loosely) by the great masters. 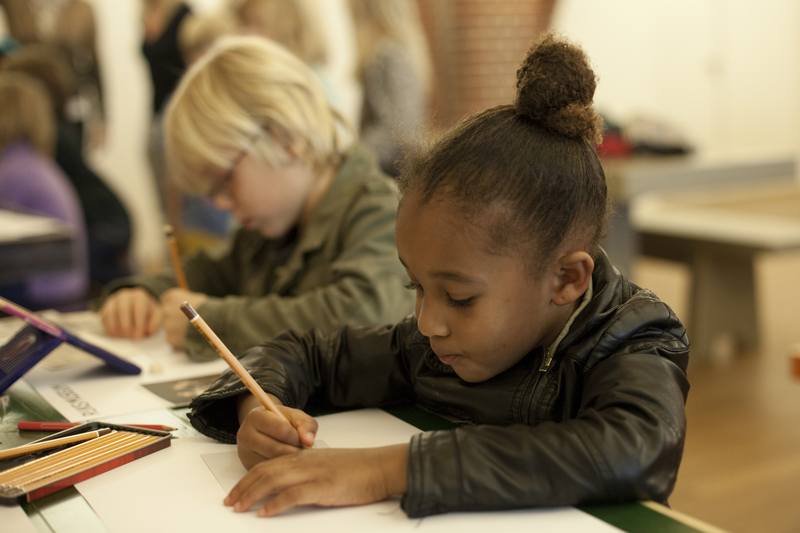 More than 2,500 people joined leading writers and illustrators at the launch of annual campaign The Big Draw at the V&A Museum of Childhood. Aiming to be the world’s most widespread drawing festival, the Campaign for Drawing initiative will take place in hundreds of venues in 20 countries between October 1 and November 2. 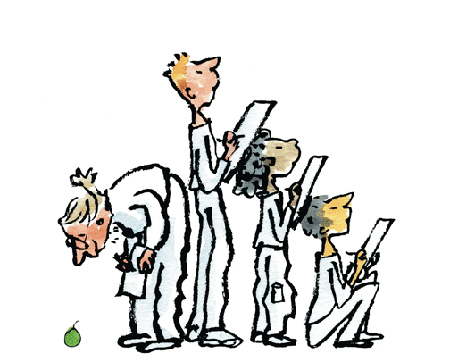 Illustrators Quentin Blake and Posy Simmonds both boast delightfully colourful CVs. Blake, perhaps best known for the illustrations that adorn Roald Dahl's children"s books, has been drawing ever since he can remember. Simmonds meanwhile, recollects, "Making a drawing of buttons when I was three." The duo are involved in The Big Draw, a creative project that intends to get people drawing in public forums, with galleries and museums across the globe taking part. 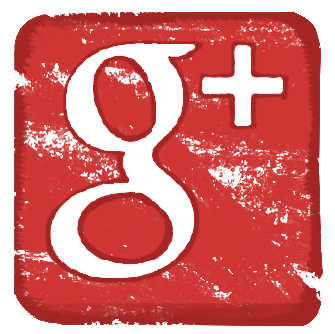 "The thing about children is that they draw anyway,"Blake says. 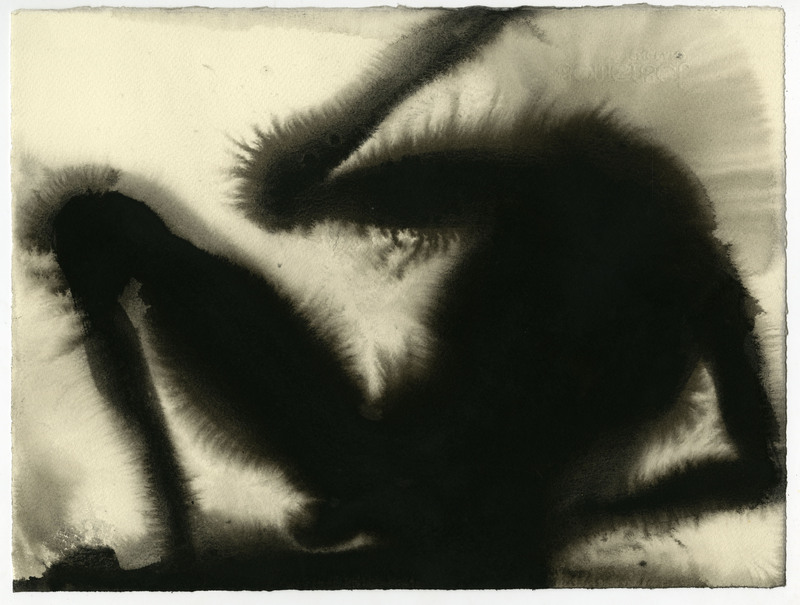 "But when they get to 12 or 13, children get inhibited about drawing and they start to feel, perhaps, that other people do it better than they do, or that there should be some standard of photographic realism." The Big Draw is set to return with a month-long international programme of events curated around the theme It’s Our World. 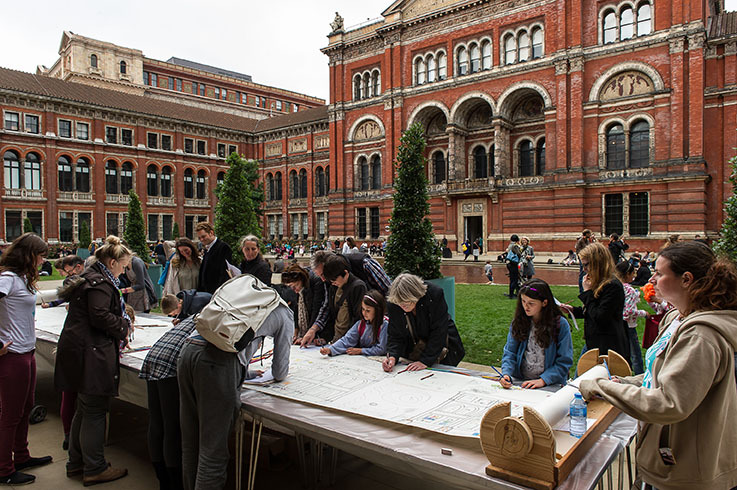 Organised by the Campaign for Drawing, the event – which celebrates its 15th anniversary this year – is designed to get people around the world drawing. 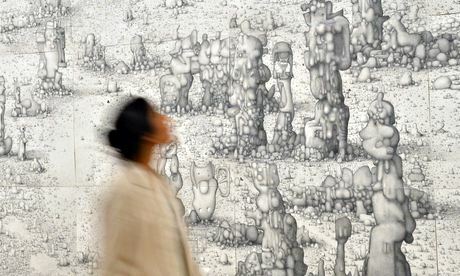 This year 20 countries are taking part and organisers say it will be ‘the world’s biggest drawing festival’. Patrons come from a variety of professional backgrounds and include the likes of Sir Quentin Blake, Lord Foster and David Hockney. 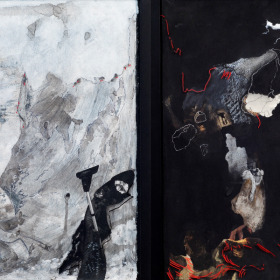 The John Ruskin Prize in Sheffield showcases emerging artists – the work on display is at once bleak, and beautiful. Victorian artist, critic, writer and social reformer John Ruskin had a saying: “the greatest thing a human being ever does in this world is to see something… To see clearly is poetry, prophecy and religion all in one.” The 2014 John Ruskin prize asks exactly this of its entrants; to see and to absorb a theme – and the title of this year’s exhibition –Recording Britain Now. With recent political proclamations about the importance of “British Values” being met with a series of confused faces from many, it seems apparent that Britain is in a something of a state of flux. This year’s prize has honed in on this transitional period and, as a result, extracts an interesting variation of contemporary visions. Above: The Big Draw & Lufalo hosted the tropicana postcard workshop. Despite the drizzling rain and thundering skies, a taste of Tropicana was still to be found deep in the bustle of East London’s Hoxton Arches last weekend. 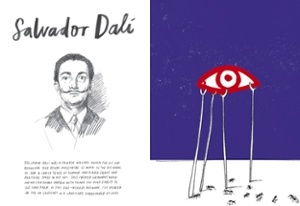 Promising to keep those summer dreams alive, this year’s London Illustration Fair . With Brazilian BBQ smells and a vibrant buzz escaping from the entrance, many dived in to uncover a true illustration paradise. The tropical themed fair showcased an eclectic mix of illustration, print and design at its finest. By bringing established commercial agencies, independent creative start-ups and charities together, the festival was a true celebration of London’s contemporary illustration scene. Once considered the poorer cousin of fine art, illustration is coming to the fore in London this summer. 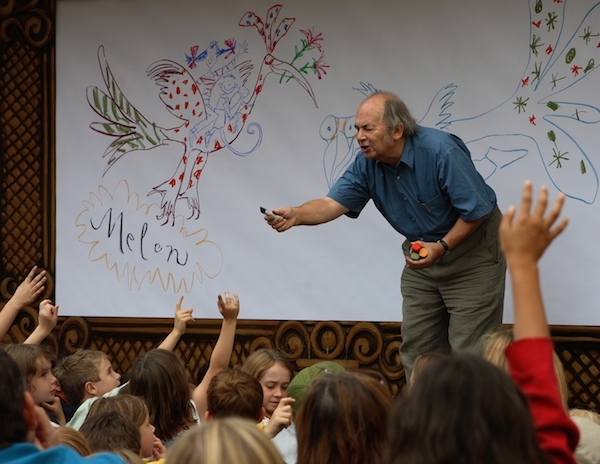 The House of Illustration, which opened in King’s Cross in north London on 2 July with an exhibition dedicated to one of the UK’s best-loved illustrators, Quentin Blake, is proving popular with adults and children alike. Billed as the world’s first illustration museum, the original plan was to focus solely on Blake, but “quickly broadened out to include all illustration”, according to a spokeswoman for the public gallery. 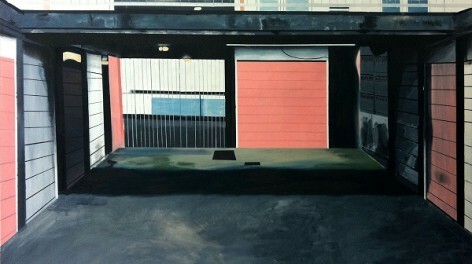 A view of a block of flats painted onto concrete by a former dentist is among the five artworks shortlisted for the UK's most lucrative painting prize. Sheffield-based Mandy Payne spent 25 years working as a dentist for the NHS before turning to art full-time in 2012. 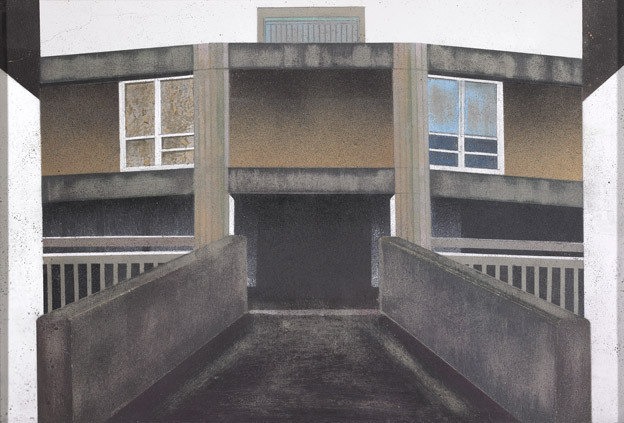 This work was spray painted directly onto concrete and depicts Sheffield's Park Hill. 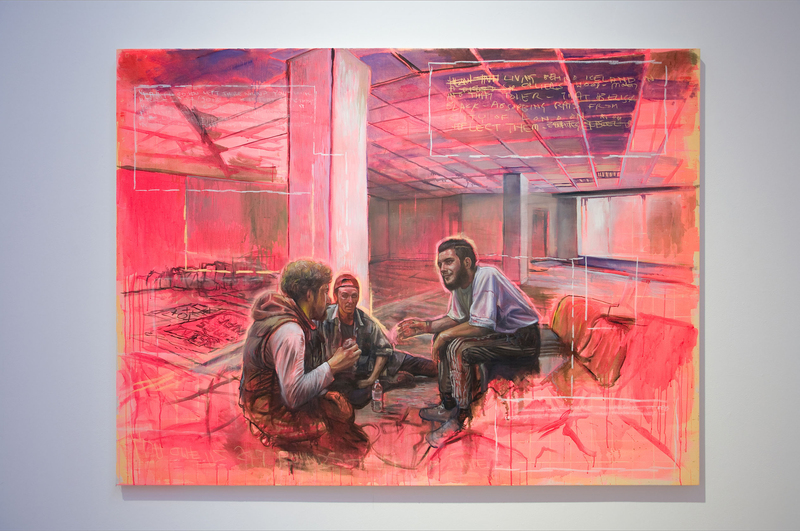 Payne was also recently named runner up in the John Ruskin Prize. When I was a kid I got it into my head that I couldn't draw and I know I wasn't the only one because I still hear children and adults saying the same to this day. Drawing has creative, expressive and educational value; it remains fundamental to translating and analysing the world. Drawing has seen something of a renaissance in the last twenty years in the UK. From the Campaign for Drawing to the Drawing Research Network, from the Drawing Room to the Rabley Drawing Centre, we've witnessed a proliferation of passion, effort and energy matched by increased museum exhibitions, dedicated degree courses, professors, publications and conferences. 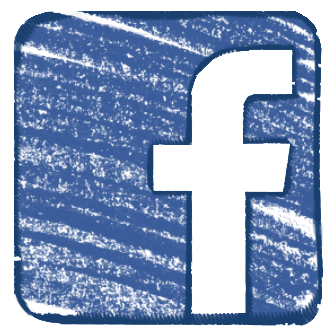 This here's a video from The Campaign for Drawing. 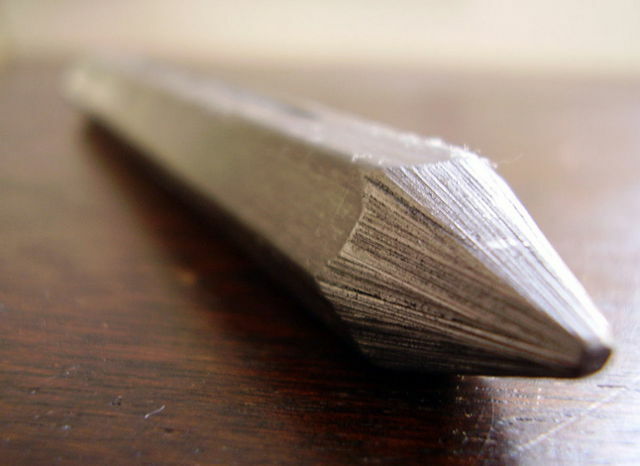 An arts charity that champions the importance of drawing. Drawing is a fundamental tool for thought, creativity, social and cultural engagement. This features interviews with Andrew Marr, the broadcaster and Campaign Patron, Peter Ayres, architect for Beep Studio, Briony Marshall, sculptor & former biochemist and Massimo Acanfora, Creative Director at Conran and Partners. Being in a beautiful building, filled with paintings and chandeliers, and surrounded by people interested in families and the arts, was amazing. Seeing Lauren Child, creator of innovative and interesting picturebooks including the Charlie and Lola series, speak was wonderful. And when an actual real life fanfare was played for each award winner, I realized The Big Draw and Family Arts Festival Awards Ceremony was a dream come true. This month sees the launch of the second John Ruskin Prize, ‘Recording Britain NOW’. The Campaign for Drawing, in collaboration with the Guild of St George, invite commentaries on the state of Britain as anything from drawings and paintings to mixed media and digital art. The winner will be awarded £1,000 along with the fantastic opportunity to exhibit in the Millennium Gallery, Sheffield with 15 runners-up alongside the V&A’s touring exhibition, ‘Recording Britain’. Sue Grayson Ford, founding director of The Serpentine Gallery and Campaign for Drawing. Pictured: signed Quentin Blake print, £100. All proceeds support www.campaignfordrawing.org, www.bigdrawshop.co.uk. 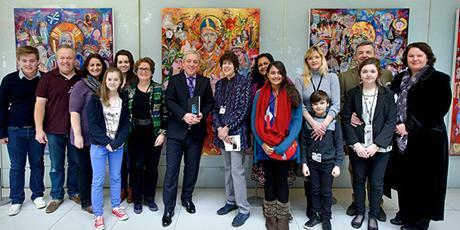 On Monday 17 February The Speaker of the House of Commons, Rt Hon John Bercow, unveiled a new Parliamentary artwork in Portcullis House - made by 376 members of the public and award winning artist Rachel Gadsden. A result of the Big Draw at the Houses of Parliament the four new works are a modern interpretation of existing mosaics of the four patron saints of the UK in Parliament’s Central Lobby. 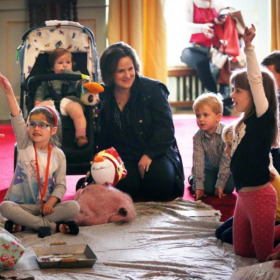 Mr Speaker described the work as ‘delightful’ saying: ‘Parliament was extremely pleased to be part of this year’s Big Draw and to be able to support the Campaign for Drawing and the first ever Family Arts Festival. 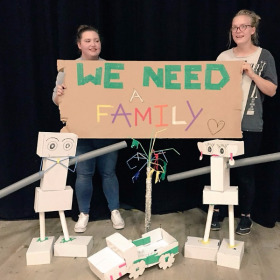 We were encouraged that so many families from all over the UK took part and that the end result, created by Rachel Gadsden, was able to incorporate so many of their fantastic drawings. I can’t remember having had anything so colourful exhibited at Portcullis House’. 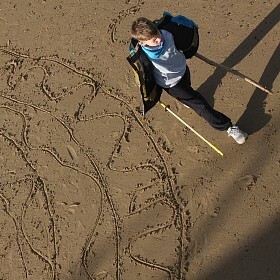 The nationwide Big Draw and Family Arts Festival, ran in October last year. The public were able to make their own artwork based on the saints after taking a tour of Parliament and viewing the mosaics. They worked with Rachel, who made copies of their work to inspire and include in the new montaged work that now hangs in Portcullis House. It is planned that the painting will hang in Portcullis House until the end of February and they will then move to the House of Lords where they will be displayed in Millbank House. The project was funded by The Speaker’s Art Fund. During the visit Mr Speaker met with the artist Rachel Gadsden, Sue Grayson Ford from the Campaign for Drawing and a group of families who took part in the project. Flying our drone above the artwork. Do cats in space dream of electric fish?